The Nvidia GeForce GTX 260M SLI is a combination of two Nvidia GeForce GTX 260M graphics cards for laptops linked together in SLI mode. The combination can be up to 40% faster than a single GTX 260M if given the proper game or driver support. In fact,some games may even run slower under SLI than with a single 260M if driver support is poor. Regardless, current consumption is twice as high as a single 260M. Notably, Nvidia drivers support the deactivation of SLI to save power. This is in contrast to the Catalyst drivers of the 4870 X2 at the time of our review. The graphics memory of both cards can't be added and compared to single cards, as each card stores the same information. Therefore, a GTX 260M SLI with 2x512 graphics memory only counts as 512 MB for games. As all SLI combinations, the GeForce 260M SLI may suffer from noticeable micro stuttering at frame rates between 20 to 30 fps. This is due to the inconsistent delays between subsequent frames being rendered and shown onscreen. As a result, an SLI combination may need higher frame rates for fluent gameplay. Similar to other cards with DirectX 10 capabilities, the GeForce GTX 260M SLI combination renders 3D images using "Unified Shaders". Dedicated pixel shaders and vertex shaders have been dropped in favor of 2x112 stream processors for rendering graphic work that would have normally been done by specialized pixel and vertex shaders. Furthermore, the shader units are higher clocked than the chip at 1375 MHz. The performance of the GTX 260M SLI is in the region of a single GTX 260M, but can be about 40 percent higher depending on application and driver support. 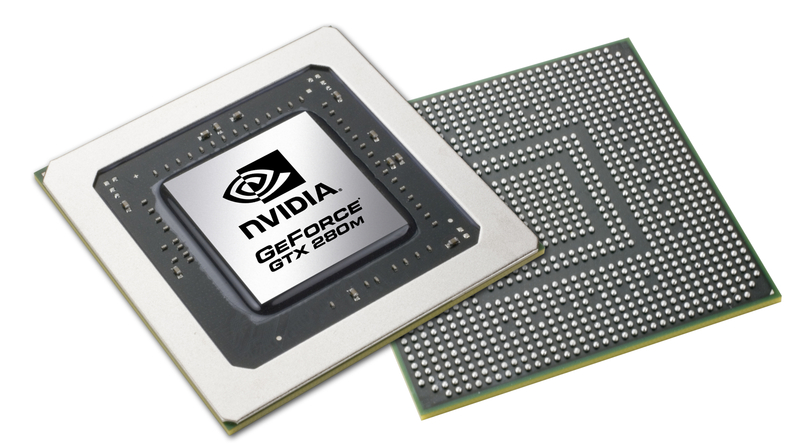 A single GTX 260M is only a bit faster than a 9800M GTX due to the higher clock speed. For current DirectX 10 games like Crysis, World in Conflict, Bioshock or Age of Conan, the performance of this graphics card is sufficient with medium and high details. Older games and less demanding ones run fluently with high resolutions and full details. The memory component is up to 2x1024 MB GDDR3 with speeds up to 950MHz in MXM 3.0 boards or up to 800 MHz in MXM 2.0 boards. An advantage of the GeForce GTX 260M SLI is the integrated PureVideo HD video processor. As a result, it is able to decode/encode H.264-, VC-1-, MPEG2- and WMV9 video material that would have otherwise been processed by the CPU. This ultimately allows the CPU to concentrate more on other tasks and programs simultaneously. Both chips also support PhysX and CUDA applications. A single GTX 260M can also be used to calculate PhysX effects if supported by the game or application. HybridPower is a technique to choose between the integrated (if available) and dedicated graphics core for power-saving purposes. So far, this works only in Windows Vista. Up to now, the user had to use a tool to switch between the GPUs. In the near future, Nvidia intends to be able to switch GPUs automatically in the drivers (now known as Optimus Technology, which is not supported by the GTX 260M SLI). GeForceBoost is not supported with this card as there would be no performance gain if one were to combine the integrated GPU with the dedicated 460M SLI. The current consumption of up to 2x75 = 150 Watts (including the MXM board and VRAM) allows the use of the SLI cards only in laptops with a strong cooling system. Therefore, the GTX 260M SLI can be found only in heavier and larger desktop replacement (DTR) notebooks. Compared with desktop graphics cards, the performance of the GTX 260M SLI is about on par with the GeForce 9800 GT SLI (600/1500/900).